It’s a new year, and for many of us, it’s a season when it feels very natural to set new intentions and form new habits at home to draw more peace into our lives. 8 Surprising Decluttering Lessons From an Expert is not a laundry list of Pinterest-y tips to consider today and forget tomorrow just as quickly. Instead, I intend to GET YOU PSYCHED and encourage you to consider taking a few organization baby steps with me. I am one of those cats in love with the IDEA of organization but who tends to struggle to maintain organization systems. So I’m stoked since this marks the beginning of something MEANINGFUL and HEALTHY in my quest for a greater measure of sweetness, harmony, and peace at home. These lessons were inspired by a fascinating new book exploring personality type and organization that I am encouraging everyone I know to buy immediately! 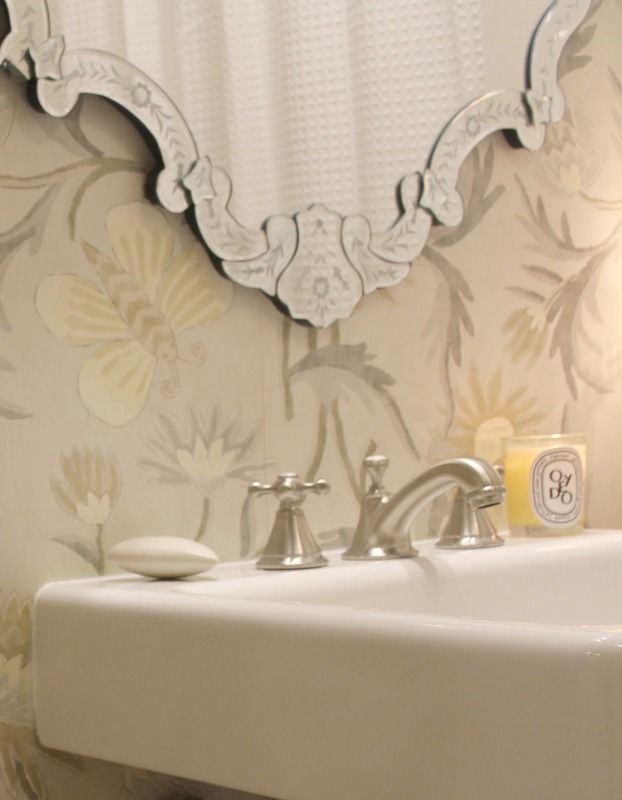 Our French Nordic style master bathroom. Photo: Hello Lovely Studio. 8 Surprising Decluttering Lessons From an Expert! Interview with an organizer who cracked the code on personality type and organization style. Let’s get tidier and more organized at home and less stressed! Why? Because the subject matter has the potential to significantly impact your lifestyle, grow your compassion, and enrich your relationships. TRULY! The Clutter Connection by organization expert and bestselling author Cassandra Aarsen had me hooked from page one and has forever changed the way I think about my potential to create order at home. NO ONE ASKED ME TO WRITE PRETTY THINGS ABOUT THIS BOOK OR THIS AUTHOR’S IDEAS. I STARTED READING A COPY THEY SENT OVER, AND THE AHA MOMENTS KEPT FLOWING. I KNEW IT WAS SOMETHING SPECIAL AND WOULD HELP ME AND ANYONE WHO GIVES IT A CHANCE! The author’s discoveries and their ramifications for helping each and every one of us to feel more relaxed, productive, and secure at home are something to shout from a mountaintop about! BUSY? CLICK HERE TO PIN THIS POST TO READ LATER! CAUTION: Are you someone who thinks some folks are just naturally organized and others are simply naturally messy? If so, brace yourself for a potentially transforming about-face! THIS BOOK JUST MAY TRANSFORM YOUR PERSPECTIVE AND LIFE! 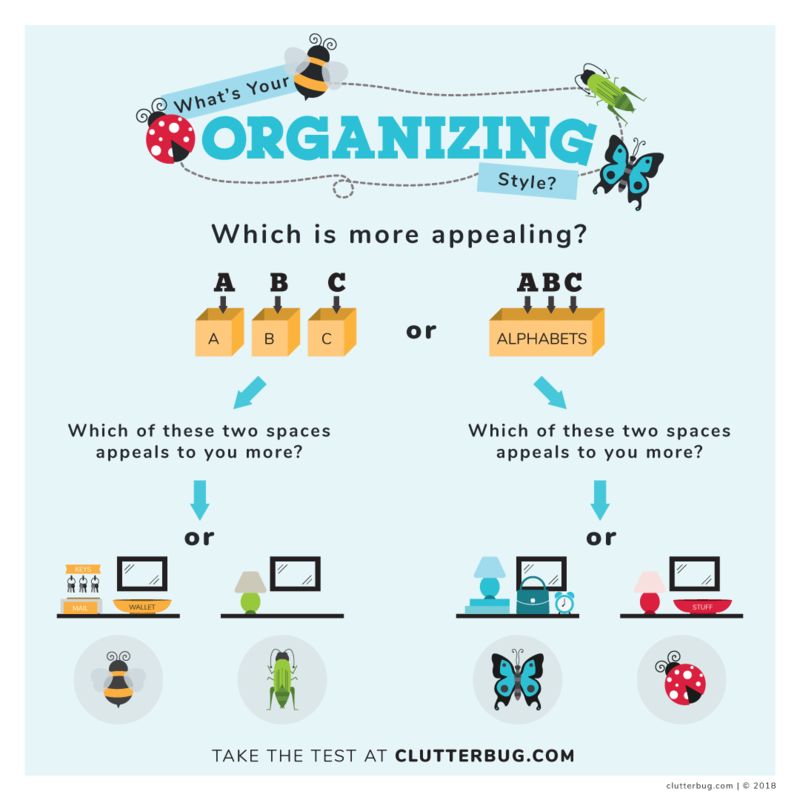 The Clutter Connection: How Your Personality Type Determines Why You Organize the Way You Do by Cassandra Aarssen. BUY IT NOW! 8 Surprising Decluttering Lessons From an Expert! YOUR’RE NOT MESSY, YOU JUST ORGANIZE DIFFERENTLY. This powerful message has helped her rejuvenate thousands of lives. 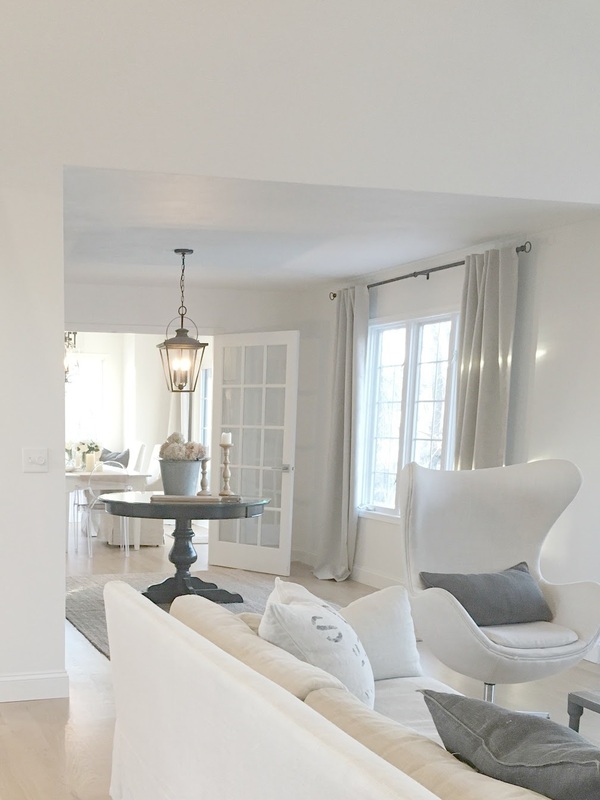 The Clutter Connection illuminates the “clutterbug type” mindset with which we align and then guides us to develop optimal practices to become more happily and sustainably organized at home. Another Caution. Aarssen’s message is not about warm fuzzies to get you in a sufficiently relaxed state for sock drawer organization 101. If simply chilling out was the answer to all of our organization unrealization, then DUDE! My trippy hippie dippie super chill friends would have Martha gushing. This organizing guru means it. We’re not messy, lazy, flaky or any of those unsavory identities we assume when we can’t for the life of us locate where we put the scotch tape or electric bill. We CAN get organized…by becoming more mindful about the particular organization system which meshes with our personality type and sets us up to thrive! BONUS: It’s not complicated at all! 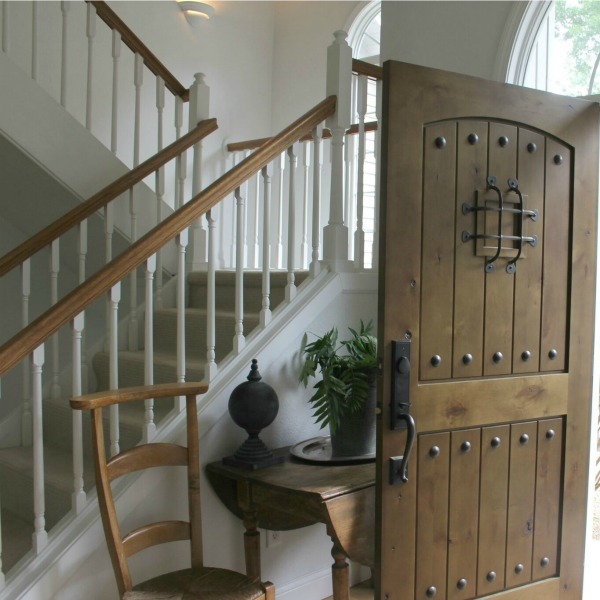 Our entry and knotty alder door with speakeasy. Photo: Hello Lovely Studio. The Clutter Connection, to guide me! Curious about why I’m so pumped? 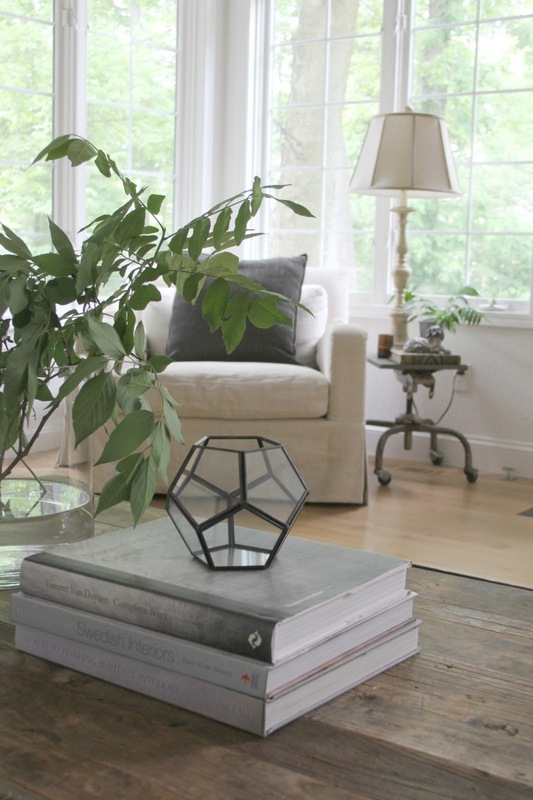 Under the impression I was an organization goddess based upon images you see of my tidy home plastered on the blog? Get ready for: (1) me to reveal secrets and for (2) this author to demystify clutter and the obstacles we can move through to reach our goals. 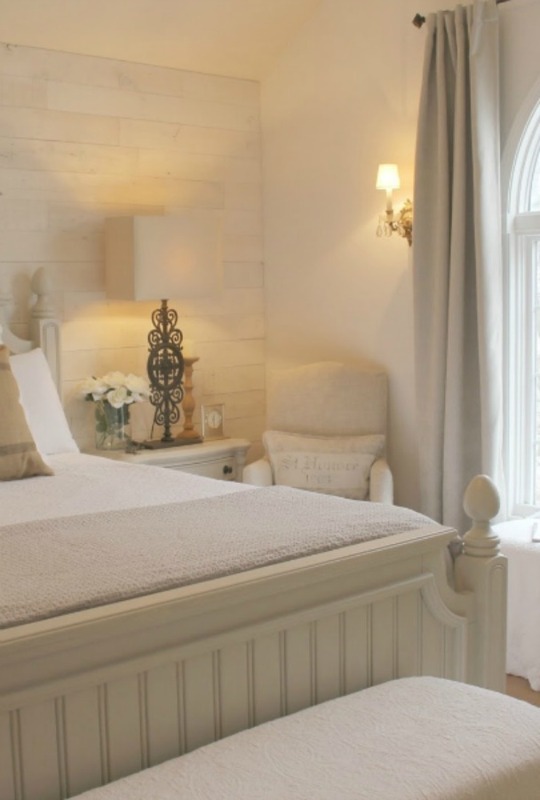 Our French Nordic cottage style bedroom with a tone on tone palette. Photo: Hello Lovely Studio. 8 Surprising Decluttering Lessons From an Expert! Interview with an organizer who cracked the code on personality type and organization style. Let’s get tidier and more organized at home and less stressed! I have my own closet in our master and snagged this Victorian dresser for a song on Craigslist before painting it. Photo: Hello Lovely Studio. HL: Who did you have in mind when you wrote The Clutter Connection? MINDFULNESS DOESN’T MEAN IT’S GONNA BE COMPLICATED. 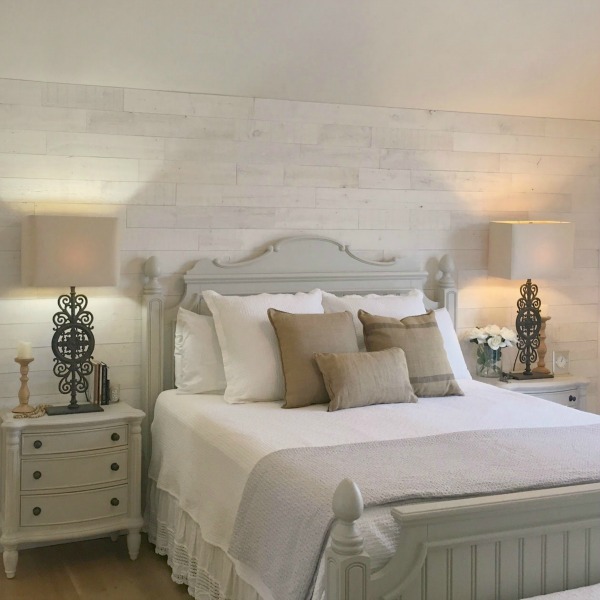 Our master bedroom has a dramatic reclaimed pine statement wall. Photo: Hello Lovely Studio. 8 Surprising Decluttering Lessons From an Expert! Interview with an organizer who cracked the code on personality type and organization style. Let’s get tidier and more organized at home and less stressed! HL: As a professional organizer, what have you learned about the shame a lot of folks harbor about their perceived laziness and inability to get a handle on their stuff? CA: “It’s amazing how a person’s perception of themselves can literally shape everything about their life. When someone who has always thought themselves as a “messy” or “lazy” person finally understands that they simply organize differently, this self awareness alone is often all it takes to transform their home and their life. Simple branches from the yard in lieu of fresh flowers are one of my favorite simple touches. Photo: Hello Lovely Studio. 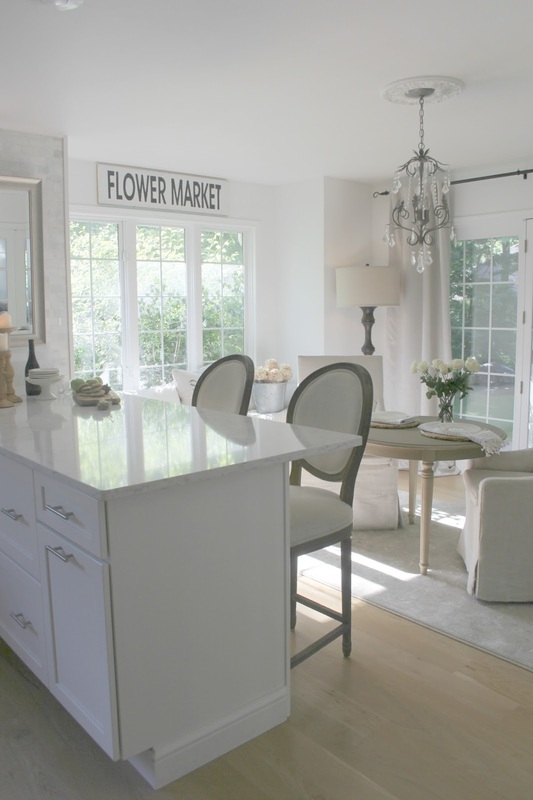 Our classic white kitchen with European country inspired design elements including Belgian linen, a favorite! Photo: Hello Lovely Studio. 8 Surprising Decluttering Lessons From an Expert! Interview with an organizer who cracked the code on personality type and organization style. Let’s get tidier and more organized at home and less stressed! TRADITIONAL ORGANIZING METHODS DON’T WORK WHEN THEY ARE ONE SIZE FITS ALL…WE’RE ALL DIFFERENT. A giant old oak sideboard from Belgium holds my clutter! Photo: Hello Lovely Studio. HL: You write that ‘becoming the boss of your home gives you the ability to become the boss of your entire amazing life.’ How did organizing your home transform your own overall perspective? I cannot seem to live with my visual clutter at all! Photo: Hello Lovely Studio. 8 Surprising Decluttering Lessons From an Expert! Interview with an organizer who cracked the code on personality type and organization style. Let’s get tidier and more organized at home and less stressed! HL: Your approach to organization by focusing on the individual first is a breath of fresh air, and I appreciate how you de-mystify the process and help me feel empowered to dig in. Can getting organized truly become addicting as we begin to see immediate results? CA: “Heck yeah it can! I always say that “if working out gave me the same immediate results as organizing, I’d be a size two.” I don’t want to work hard at something! I like immediate and long lasting results and I don’t like to spend more than 15-20 minutes at a time on things. 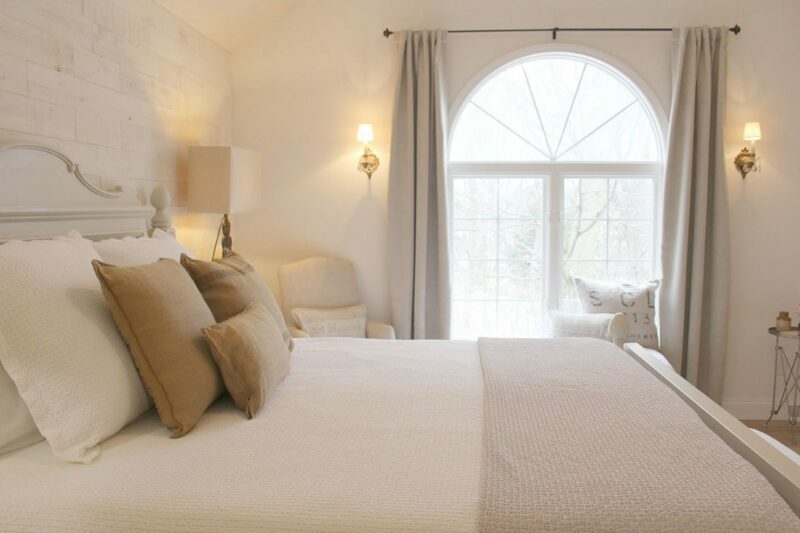 In our master bedroom, I brought in the warm of natural wood to harmonize with all the pale and lovely neutrals. Photo: Hello Lovely Studio. When you organize a drawer or declutter your closet, you can see IMMEDIATE results and the long lasting impact of your organization will save you time and make your life easier in the future. 15 MINUTES OF ORGANIZING EACH DAY WILL TRANSFORM OUR LIVES. Our kitchen has a farm sink that is my favorite element in the whole space! 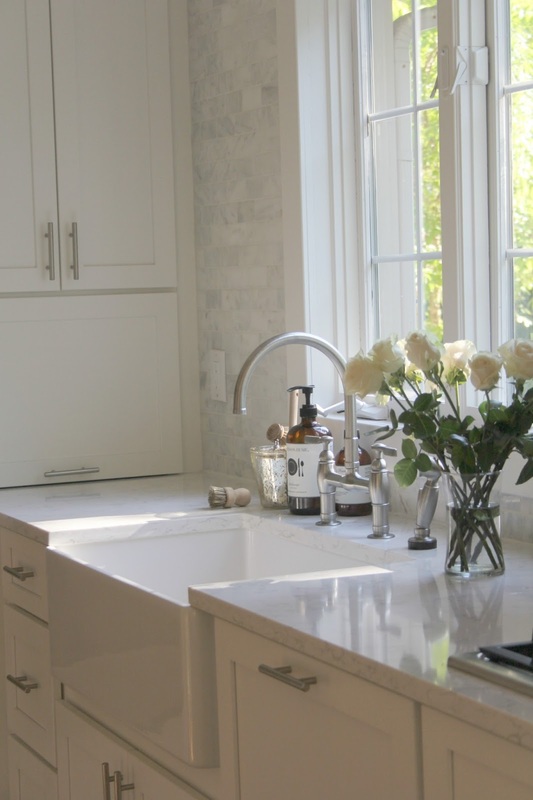 The countertop is Viatera Minuet quartz. Photo: Hello Lovely Studio. 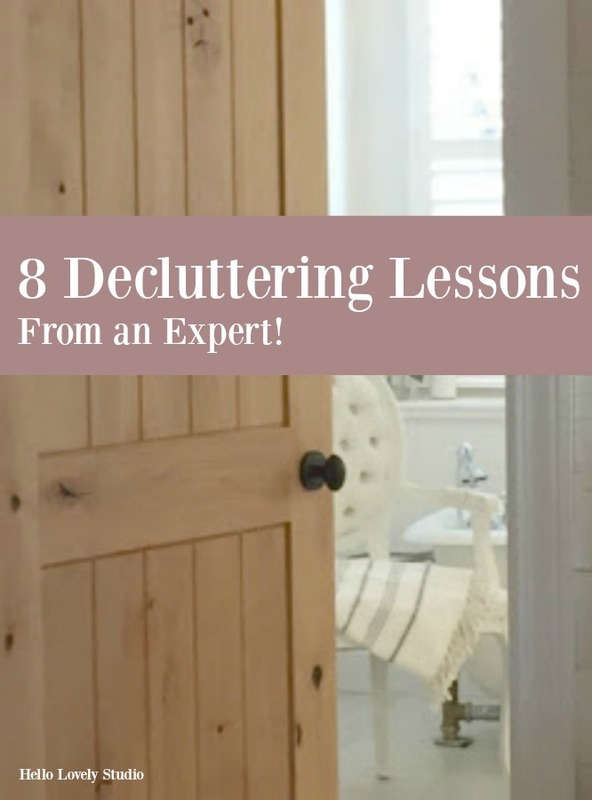 8 Surprising Decluttering Lessons From an Expert! Interview with an organizer who cracked the code on personality type and organization style. Let’s get tidier and more organized at home and less stressed! HL: How does identifying our clutterbug type save us time, headache, and money? CA: “How may times have you organized or cleaned your home, just to have it become messy again a few days later? The reason you struggle to stay organized is because you aren’t using a system designed for you (and your family) and the way you naturally put things away. Window seat in the kitchen is deep enough to nap, yet I still haven’t added an upholstered cushion! Photo: Hello Lovely Studio. We added a full bath to our basement and like the rest of this fixer, did all the work ourselves. This Oak Hill Console Sink by DXV is the star of the space. Photo: Hello Lovely Studio. 8 Surprising Decluttering Lessons From an Expert! Interview with an organizer who cracked the code on personality type and organization style. Let’s get tidier and more organized at home and less stressed! 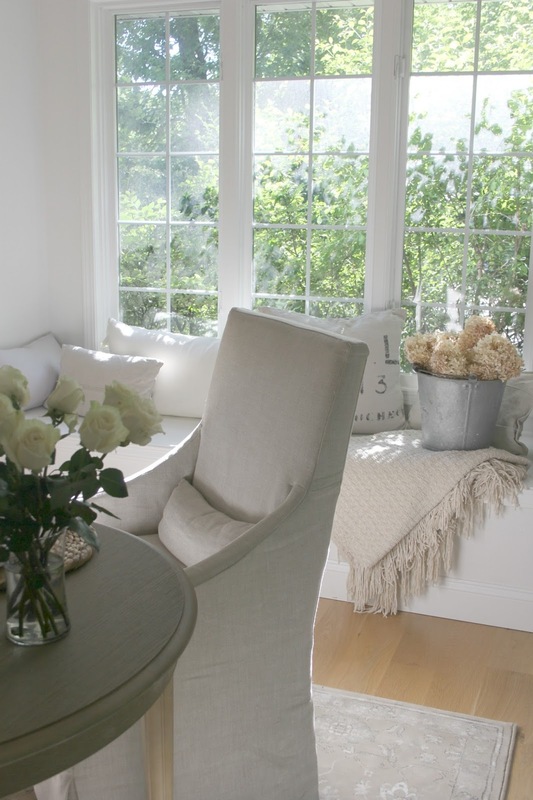 HL: The secret is out…you can be a Ms. Clean type who aspires to have the most tidy, clutter-free home, yet you may indeed be Ms. Disorganized. Why is that? CA: “One of the Clutterbug styles, the Ladybug, is a classic hidey-hoarder! I am a Ladybug, so I can totally say that. I love having a clean and tidy home, but in order to achieve that, I used to shove and hide items in every hidden spot in my home. The result? I could never actually find anything. I left the windows bare in the living room since we enjoy privacy from the woods. Photo: Hello Lovely Studio. HL: The secret is out! I’m a ladybug too! I have always joked that you better put on a hardhat before opening one of my cupboard doors…I could care less about how things look behind closed doors. All of my energy goes into what lies outside of those doors and drawers! 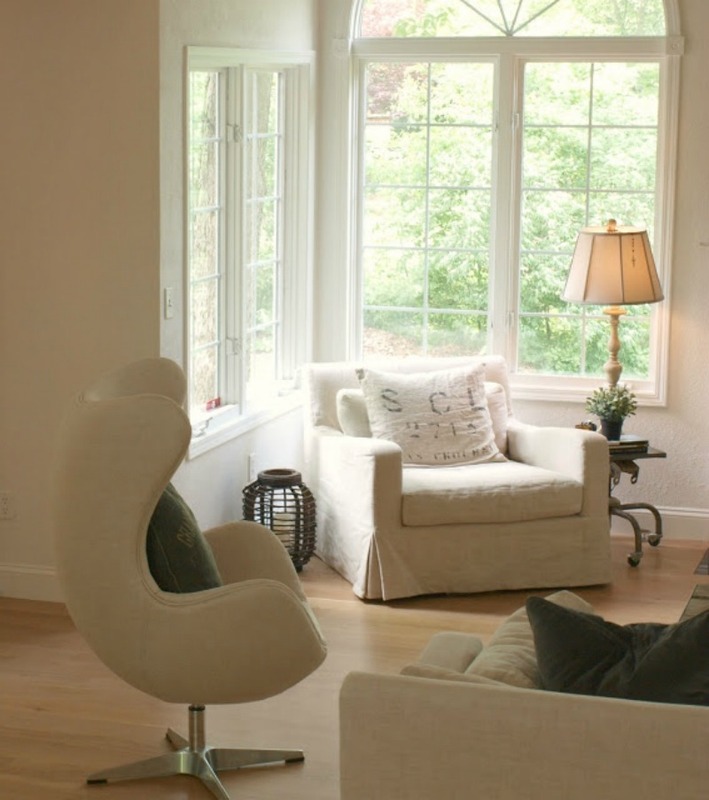 A BETTER FUNCTIONING HOME IS JUST AS IMPORTANT FOR REDUCING STRESS AS MAINTAINING A TIDY HOME. THIS BOOK JUST MAY TRANSFORM YOUR PERSPECTIVE AND LIFE! 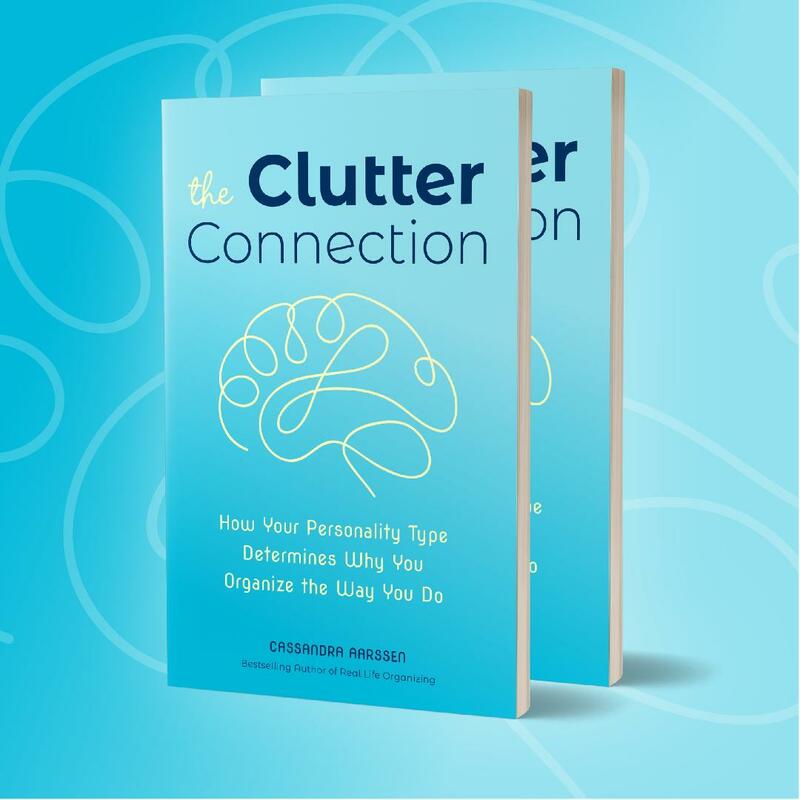 The Clutter Connection: How Your Personality Type Determines Why You Organize the Way You Do by Cassandra Aarssen. BUY IT NOW! HL: Yes! Tossing my things away is what feels right to this ladybug too. I crave open storage like baskets and big categories. Our dining room is small and rarely gets used for dining so it’s outfitted as a space to read or do homework. Photo: Hello Lovely Studio. 8 Surprising Decluttering Lessons From an Expert! Interview with an organizer who cracked the code on personality type and organization style. Let’s get tidier and more organized at home and less stressed! HL: Tell us about some of your more dramatic success stories where a client went from chaotic and cluttered to peaceful and organized. CA: “Oh, I’ve had so, so many! One of my all time favourite success stories was a family on the brink of collapse. The mom wanted a divorce because she felt her husband wasn’t helping out with housework and the husband felt like nothing he did ever made his wife happy. They had three small children and everyone was just stressed out and overwhelmed. HL: How amazing! As I read your book, I could feel my compassion widening for the other clutterbug types I recognize as family members. All of the sudden, this shift in thinking began for me where I saw their organization needs as extensions of personality and not character flaws or limitations. There are so many families who need your revolutionary ideas! LEARNING ABOUT CLUTTERBUG TYPES LEADS TO FRUITFUL DISCUSSIONS AND REPLACES FINGER POINTING WITH PEACE AND UNDERSTANDING. 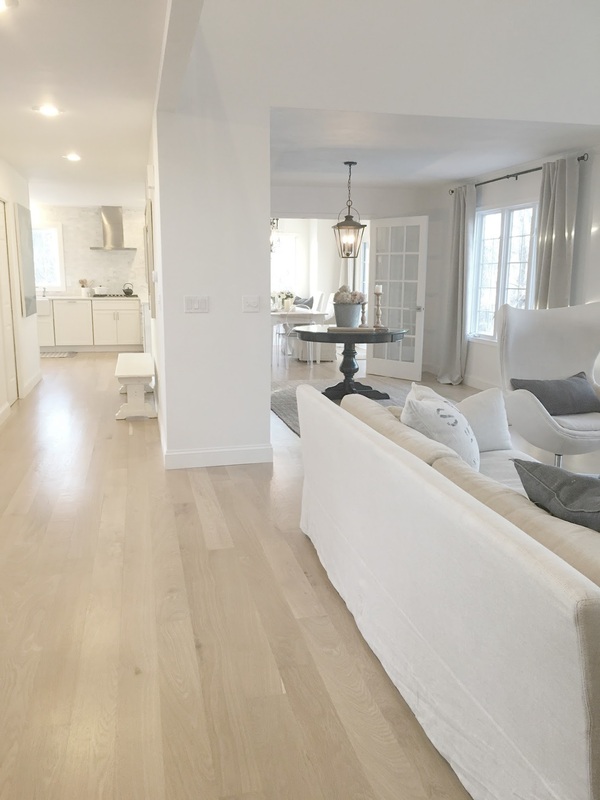 One of our favorite features of this home is the openness and airy quality of the floorplan. Photo: Hello Lovely Studio. HL: You now offer a course and train others to become expert organizers…is there a real demand for professional organizers in 2019? CA: “Does the course help people learn how to become an Organizing Expert and start their own business? Yes, but the real purpose is to give people confidence in themselves. I designed the course to empower everyone to feel so confident in their ability to organize that they feel they could do it for a career. HL: I can’t wait to start the course and dig in. I’ll be sharing the experience on this blog for sure! 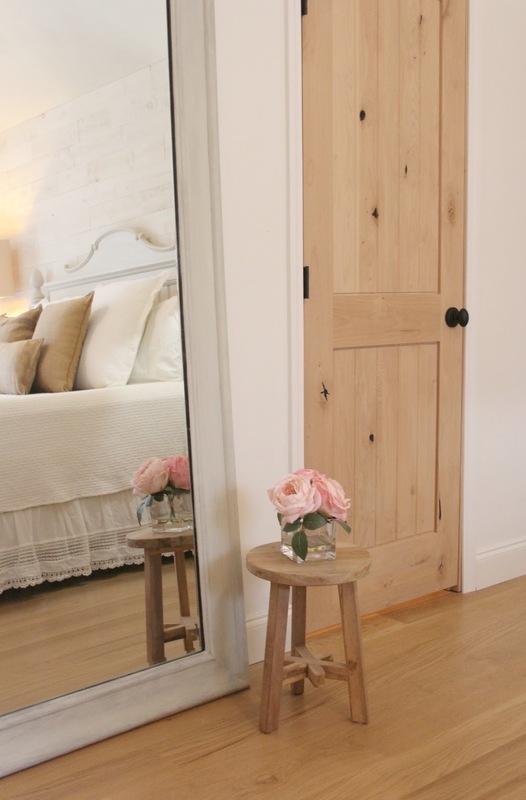 Even though this room gets Northern exposure, the palette helps it feel bright and cheerful. Photo: Hello Lovely Studio. 8 Surprising Decluttering Lessons From an Expert! Interview with an organizer who cracked the code on personality type and organization style. Let’s get tidier and more organized at home and less stressed! HL: Surely we all want to have a more organized nest. What keeps most of us from seizing the day and getting started? CA: “Fear of failure. If you have tried to get organized in the past and failed, it’s an awful feeling. So awful in fact, you probably avoid going through it again. The truth is, most people try organizing based on “traditional” methods, like filing cabinets and even closets and drawers! If you are a Butterfly, hidden and detailed storage just doesn’t work for you…period. YOUR PAST FAILURES WITH ORGANIZATION ARE IRRELEVANT AND NEED NOT HOLD YOU BACK FROM SUCCESS NOW. HL: And if you’re already not feelin’ optimistic, surely social media insta-perfect images do little to help! I love how realistic and results-oriented your work is, Cas! Knowing that your past failure has nothing to do with you being lazy or messy and having the knowledge of what WILL work for you can help you to overcome that fear and try again. You are not messy, you just organize differently. GET THIS BOOK! 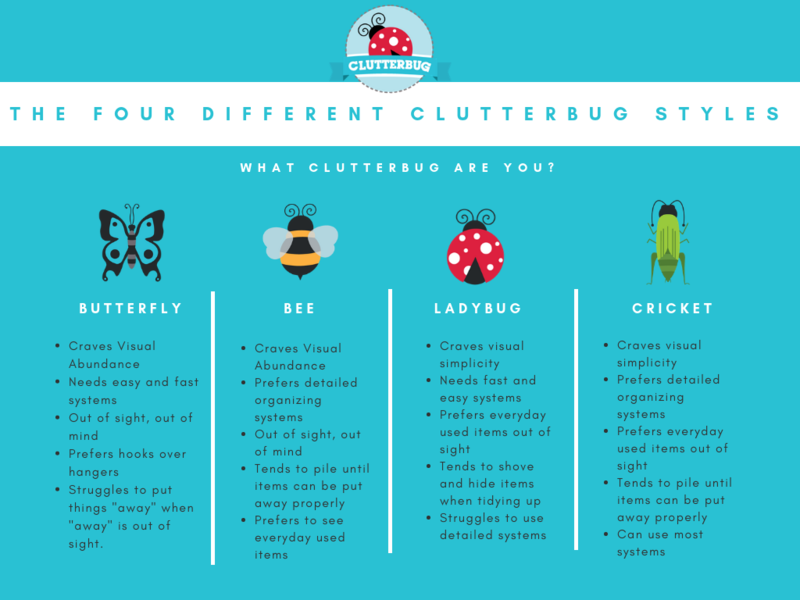 I’m dying to hear what type of clutterbug you are! So grateful for this new resource and for the lessons I’m learning as I turn over a new leaf to get organized…I’ll be so thrilled if you join me on the journey because there is so much gold here! CLICK HERE TO PIN THIS POST TO READ LATER! Previous Post Something’s Gotta Give Kitchen Design Inspiration! Next Post 7 Kitchen Designs to Steal from the Movies! I took the test and as I guessed ahead of time I am a cricket. Now to put the information to used. We are going thought a house addition and remodel. It will be fun to reorganize, sort, and put away all our possessions in storage containers in the coming months. This was a fun post. Thanks for joining the fun! My sister is a cricket so I have a lot of admiration for you types! I always found moving to be the perfect time to get organized so hopefully your renovation process will also be an ideal time. Thanks for reading, and keep me posted! Wow, this was very interesting and I will pick up the book. Not sure of my particular type, may be a combination. Love to organize and develop “systems” to store the household’s necessary items, but I seem to be the guilty member of the family who most leaves my stuff laying around until I can’t stand the clutter. Wish that my rooms were as neat and tidy as the rooms in your home. It’s time to redecorate and that will, no doubt, give me a new vision. This was a fun post. As always, thanks, Michele. Isn’t if fascinating? I bet you when you take the little test, you’ll fall within just one type – that is how brilliant it is! 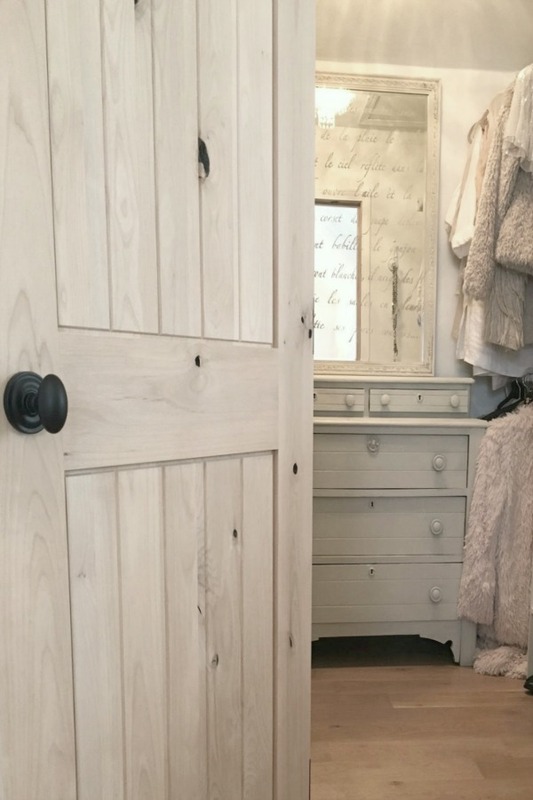 I am sure your closets and cupboards are much tidier than mine – I’m a hider of my messes! 🙂 Thanks for playing along. Mindfullness. WOW! What a mind opening, thought provoking post. Your statement that a person’s perception of themselves can literally shape everything about their life is so true. I see this in my husband and in my children, and I guess I need to start seeing it in myself. Thank you for this awakening. While I’m a tidy and fairly organized person, I think I can apply the concept in many ways in my life. Hey, stay warm over there in FRIGID ILLINOIS. My daughter is the complete opposite. Her home is very messy and cluttered. She might benefit from this book. I know she likes clean & tidy but she doesn’t seem to want to put in the effort required. I wonder what Cassandra would say? What I discovered after reading the book is there is no such thing as ‘naturally organized’ and that just because stuff is not out in the open does not mean you are an organized person. I hide everything away immediately, but I’m not well enough organized! My son needs to see everything, and that doesn’t make him messy or unorganized just a different type. If he can find a paperclip in 3 seconds, and it takes me 20 minutes of searching through closed cupboards, who is more oganized. Ya know? No, my daughter’s house is messy and she would be the first to agree. I know she doesn’t like the clutter but no matter how many times she declutters and tidys up, the piles grow on her bureau, on the kitchen island, on the floor of her closet, in her dining room…She’s constantly searching for lost things. It’s not that only I see the mess, but she does too, and doesn’t like it. I get it. I’m not saying there are no messy houses, but I’m saying the book has illuminated how it’s not the PEOPLE who are messy. Once we identify our type, we know how to get the systems in place to put easily put things away and sustain the organization. I live with a bee who needs to see everything and have always just thought he was messy. He’s not. He’s a bee. I don’t organize my stuff like my sister does. I need broad categories where I can just toss things away in an open container. It can’t be closed up, very meticulously labeled and stacked boxes. The book answers the mystery as to why there are all these breakdowns and why there is not just one way to organize that will be successful for everyone. “… your outer environment really affects your internal environment.” YES! I was just posting about this today. I’m fascinated by these concepts and look forward to reading the book. Thanks for sharing the interview. I’ll let you know if I, too, have a big organizational ‘aha moment’! 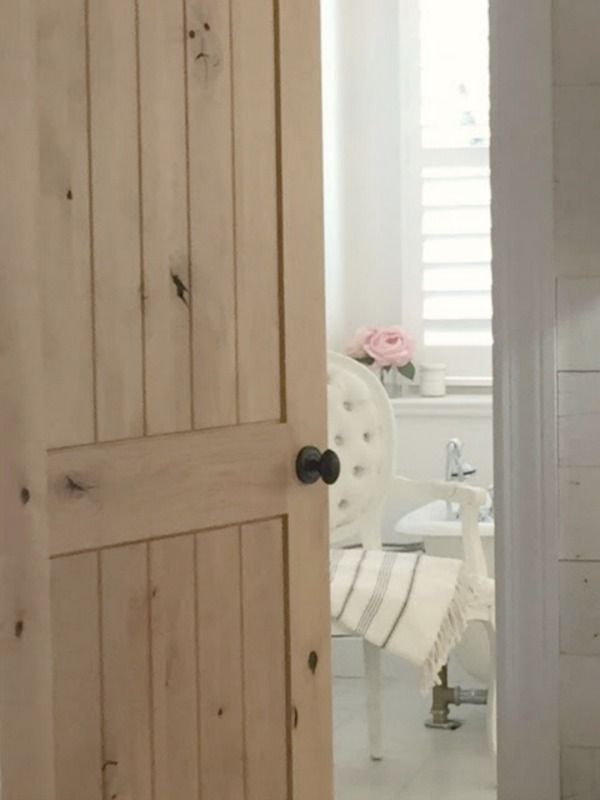 Love your hygge post, and it’s so interesting to get more mindful about these connections between our literal and figurative interiors. It’s never as simple as ‘get your $hit together on the outside and be transformed on the inside.’ But it’s these movements of letting go and deciding in small and significant ways ‘what will I give myself to?’ that lead to transformation and growth. If hours are wasted each week looking for lost things or feeling anxiety because of our surroundings, then we are not living in wellness or abundance as we potentially could. Thanks for adding to the beauty. So glad you are here at the WWBH party and sharing with us. I am so delighted. My closets are the same – not organized, but I started going through all of them and getting organizing. I did my bedroom so far and the guest room. Working on the kitchen. I will take the test and see what type I am. It does feel so good to declutter and get organize. Your home is beautiful. Sounds like you are making steady, lovely progress, Bev! You go! I am moving slowly but surely, and the idea of becoming more mindful about my clutterbug type and organizing in the right way for my particular type is helping. Thanks for hosting and for your kind encouragement. Peace to you, friend. Very interesting! Your home is beautiful!! So I am so late in responding to your comment on Thursday Favorite Things. Crazy here. I love seeing how lovely and organized your home is. I always looks so serene. I am working on getting decluttered and organized. Problem is that is gets worse before it gets better. Too many piles to get rid of or put away.